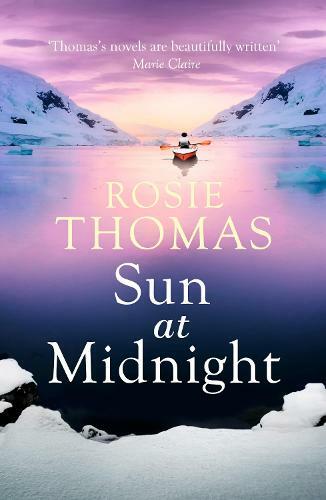 An epic love story and adventure set against the stunning backdrop of Antarctica. Alice Peel is a geologist. She believes in observation and proof. But now she stands alone on the deck of a rickety Chilean ship as a stark landscape reveals itself. Instead of the familiar measurable world, everything that lies ahead of her is unknown and unpredictable. Six weeks earlier her life was comfortably unfolding in an Oxford summer. Then, with her relationship suddenly in pieces, she accepted an invitation to join a group working at the end of the earth: Antarctica. James Rooker is a man on the run. He's been running since his childhood in New Zealand. Now, there is nowhere further to go. He has taken a job working on the same small Antarctic research station. Alice discovers an ice-blue and silver world, lit by sunlight. Nothing has prepared her for the beauty of it, or the claustrophobia of a tiny base shared with eight men and one other woman. The isolation wipes out everyone's past, and tension crackles in the air. But there is a jolt of recognition between Alice and Rooker that is like nothing she has ever known. And it is in Antartica that she discovers something else that will change her life forever ... if she survives.